Lucky Pants Bingo | Get Your £150 Deposit Bonus + 100 FREE Spins! Lucky Pants Bingo Mobile provides all new players with 100 free spins on first deposit, plus a choice of a 200% bingo bonus or 100% slots bonus on top. 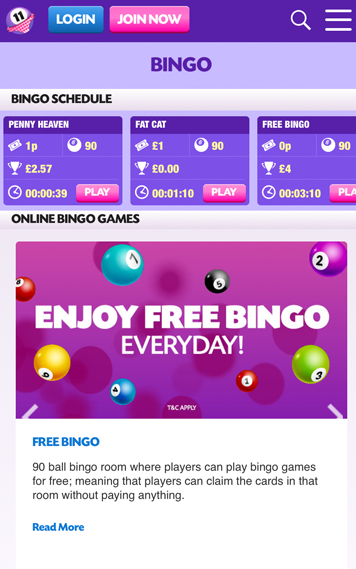 This gives you the best of both worlds, allowing you to try out both bingo games and slots! If all of that wasn’t enough, when you register through us you will also be eligible for a 100% bingo bonus or 50% slots bonus on your second deposit and a 150% bingo bonus or 75% slots bonus on your third top up. Talk about being generous! One area in which Lucky Pants really excels though is in the mobile app department. No download is required, simply head over to the homepage on your mobile phone or tablet, and you will be transported to the mobile version of the site. This will allow you full use of the site. 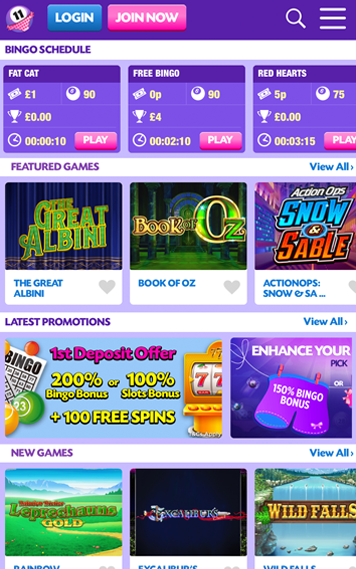 It will allow you to register, deposit, withdraw funds and play all of your favourite bingo and slots games. Perhaps the best feature at Lucky Pants is their four free bingo rooms. Games run throughout the day, and the higher your VIP status the more money there is up for grabs. When it comes to funded games, prices start from as little as 1p each, so if you deposit just £10 today, you will have plenty of games with your £30 balance before you run out. Jackpots compared to other sites seem to be pretty good, so if you hit the jackpot and win, you will likely walk away with a decent reward. Aside from that, it’s worth looking out for the jackpot promotions like ‘The Big Dabber’ which has £500 games where you can win £250 for a full house, 2 lines £150 and 1 line £100. Prices for games like this cost just 10p, so they payoff is pretty good. Lucky Pants have a selection of uniquely developed games, plus some industry favourites. This is great because you will most likely find a familiar game like Grease or Cleopatra, but also you will find some new games that you have never seen before. For those who like to live a little on the wild side, there are a handful of progressive jackpot games, side games like Roulette and a good selection of scratch cards to give you that instant gambling fix. Min dep.£10. Max Bingo Bonus £150, Max Slot Bonus £50, Spins @20/day, valid 24 hrs on Exclusive slots. Max withdrawal £250.Wagering and T&Cs apply. 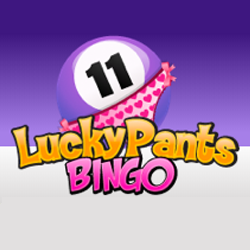 Lucky Pants Bingo is pretty much everything you would want from a Mobile Bingo Site. They have an extremely well-developed app, which gives you access to all of the games on the site, plus they have a selection of bonuses and promotions that most other sites would be envious of. If you want to make a deposit, you will instantly be rewarded with a larger than average 200% bonus. The real kicker though is that you will also receive 100 free spins, giving you a great opportunity to check out both the bingo and the slot games that are on offer here.